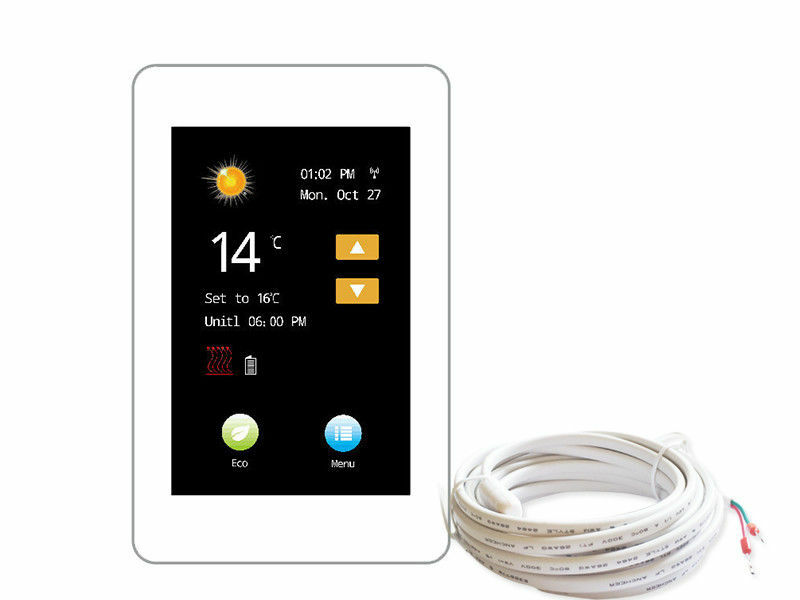 This SK99 Thermostat is a Touch Screen Thermostat, which is designed for electric floor heating system or water heating system. Using 4.0 inch color touch LCD display, the working status can be easily understood. The thermostat is recommended for control of electric heating devices or on/off valve actuator used in hydronic floor heating. 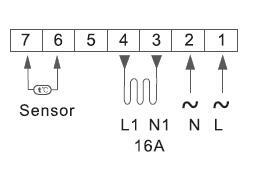 The thermostat controlled by Internal and external sensor temperature. * Operating RH: 0~95% (non condensing). * Backlight life: 5,000 hours.